Last updated Sunday, 15 February 2015 at 22:25:04. First submitted Sunday, 23 November 2014 at 18:58:35 by Daniel W Brady. 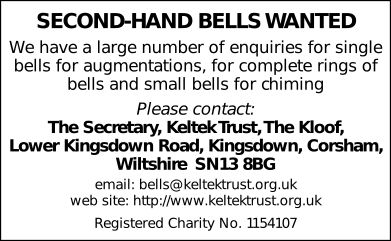 Sent for publication in The Ringing World on Thursday, 1 January 2015 at 20:08:22.